Cardiff Council is launching a new weapon in the fight against a rising crime that has the potential to put lives at risk. 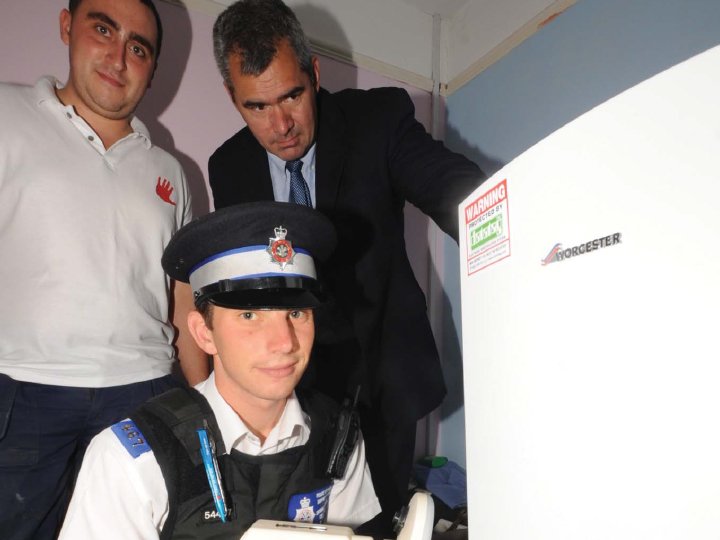 The theft of central heating boilers from vacant Council properties is a growing problem that poses serious dangers. Gas pipes are often left damaged by thieves who remove the equipment, leaving neighbours at risk until the crime is discovered. Properties are also left unsecured following the thefts. It is believed the boilers are either sold for scrap or stolen to order to be fitted into other properties. This practice then puts the new owners at risk of harm as well. In order to combat the crime Cardiff Council is now fitting tracking devices to its boilers, primarily as a deterrent to theft but also to ensure stolen equipment is easily detected. The datatags consist of a number of small transponders that give boilers an electronic fingerprint. Scanners are available for police to identify stolen property. Stickers will be placed in the windows of properties with datatags fitted inside. The system has proved successful in other parts of the UK, where boiler thefts have been dramatically reduced. Datatags have also been fitted to motorbikes for a number of years and have helped police in their fight against vehicle theft. As well as the more serious threat of injury, boiler thefts are also a huge drain on council finances. The offences can cost up to £100,000 every year, with each theft leaving a bill running into thousands. Some of these costs ultimately have to be paid by council tenants. While the damage is repaired, affected properties have to remain empty. This means a longer wait for those desperate to gain a place in council housing. Executive Member for Housing Cllr Judith Woodman said, "The theft of central heating boilers is both dangerous and costly, while also putting a huge strain upon housing waiting lists. With this new scheme, we hope to deter thieves from engaging in an offence where there is now much more chance of them being caught. Although this will help the council financially, I am most hopeful the dangers left behind will be greatly reduced." 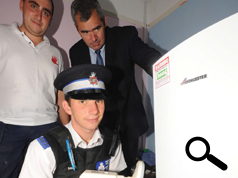 South Wales Police Divisional Commander for Cardiff, Chief Superintendent Josh Jones said, "Tracking devices on boilers have been used in other areas of the UK, resulting in a significant reduction in the number of offences. We fully support this council scheme, which we are confident will help reduce and deter crime."